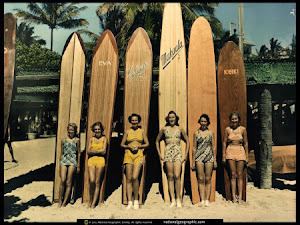 While we make boards for surfing, a few become wall art. 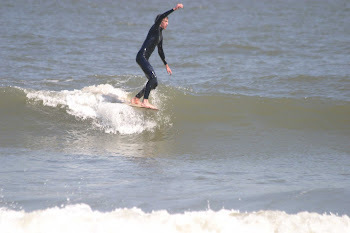 Here's one recently hung up by Drew from www.thegpsstore.com over in Ocean Isle Beach, NC. 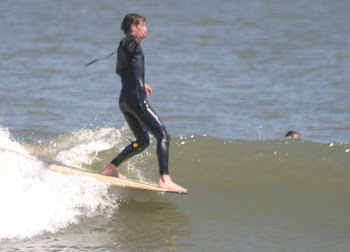 Nice 9'8" longboard. 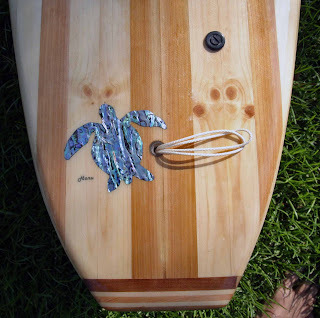 Dan finished this board with a Paua shell inlay (turtle). "Makes a nice statement about earth, water, and life."